There is no question that the U.S. is badly in need of criminal justice reform, especially when it comes to reducing mandatory minimum sentencing. It is largely a bipartisan issue that both major political parties agree on. The current legislation pending in Congress—known as “The First Step Act”—is a step in the right direction; however, it only affects federal inmates, which constitute less than three percent of the total U.S. prison population. Although the legislation has passed the House, the Senate may not be able to pass it before Democrats take over the House on January 3, and potentially move for stronger legislation that goes further. In addition, it has been noted that there are a number of Senate conservatives who are blocking moves to make changes to the criminal justice system, even though they are a number of religious groups in support of the measure. The legislation would not only reduce maximum penalties for repeat offenders, but also provide judges with more discretion in administering prison sentences. Disagreements over the bill remain in the Senate, even as many Christian groups on the right are actively pushing for the legislation to be passed this year. Just between 1980 and 2009, the total prison population in the U.S. increased nearly 400 percent while population grew by 36 percent and the crime rate fell by 42 percent. According to studies done on states that have reduced their state prison populations, there have been zero adverse effects on public safety as a result. 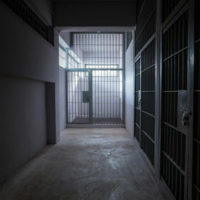 Historically, the most important factors linked with decreasing the prison population have been a decrease in crime rates, decreasing “war on drugs” policies, growing concerns over the financial costs of incarceration, and increased interest in evidence-based approaches to sentencing and reentry into society. Another major factor was 2011 U.S. Supreme Court decision which found that our overcrowded prison system was a violation of the constitution. States like New York and New Jersey—which have reduced their prison populations, like several others—did so by providing alternatives to incarceration, eliminating certain mandatory minimum sentences, altering sanctions, incorporating risk and needs assessment into justice processes, community supervision, prison release, reduction of criminal penalties, and reintegration programs. Adequate funding, reduction of racial disparity, post-incarceration employment solutions, release and reentry solutions and rigorous monitoring are all also essential. If you have been arrested and potentially face minimum mandatory sentencing, contact our experienced criminal defense attorneys at the office of Phillip J. Murphy today to find out how we can help. We serve clients throughout New York and New Jersey.